Welcome to Mission Obstetrics and Gynecology, Warren, Michigan’s trusted source for female healthcare. 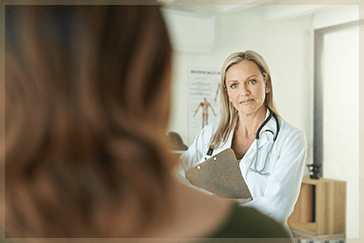 Mission Obstetrics and Gynecology offers a comprehensive approach to obstetrics and gynecology with unsurpassed superior service provided by a caring and compassionate team of physicians. Mission Obstetrics and Gynecology has provided quality care to the Warren, Michigan area for more than 20 years. Staffed by five highly trained female Board-Certified Physicians Mission Obstetrics and Gynecology offers specialized treatment for obstetric and gynecological conditions. Our founder, Dr. Deborah Hartmann retired from private practice starting May 1, 2015 and the practice hired a new doctor to join our team as of August 2015. Dr. Catherine Pokropek has been an excellent addition to our team and our patients have welcomed her along with us as our business continues to evolve and grow. At Mission Obstetrics and Gynecology, we treat a variety of OB/GYN conditions and perform cutting-edge procedures to ensure the best outcomes.